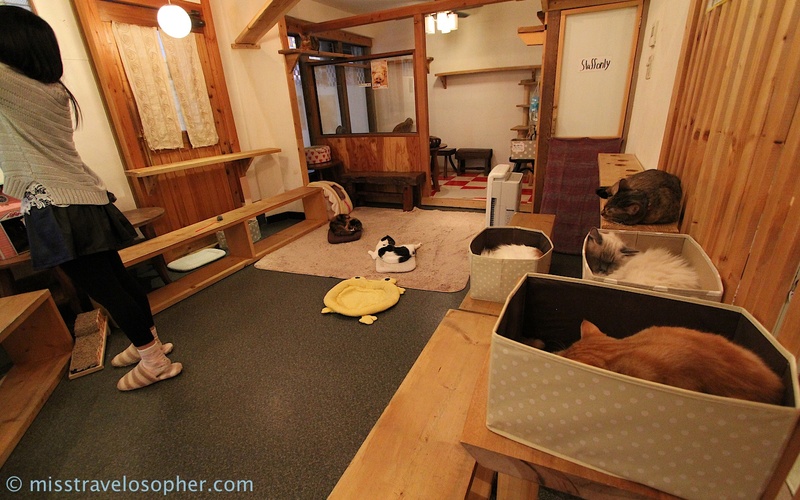 Cat cafes are popular in Japan, where paying a fee will buy you time to hang out in a room full of felines. 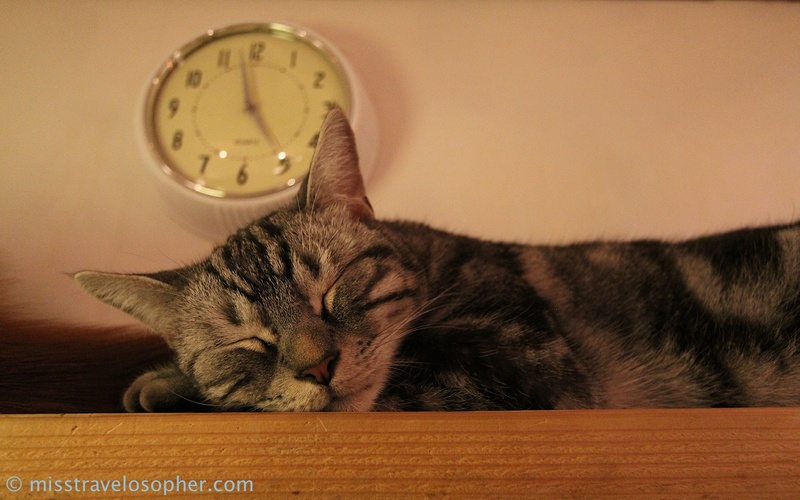 The concept caught on in Japan as most of the city dwellers live in small tiny apartments where pets are forbidden. 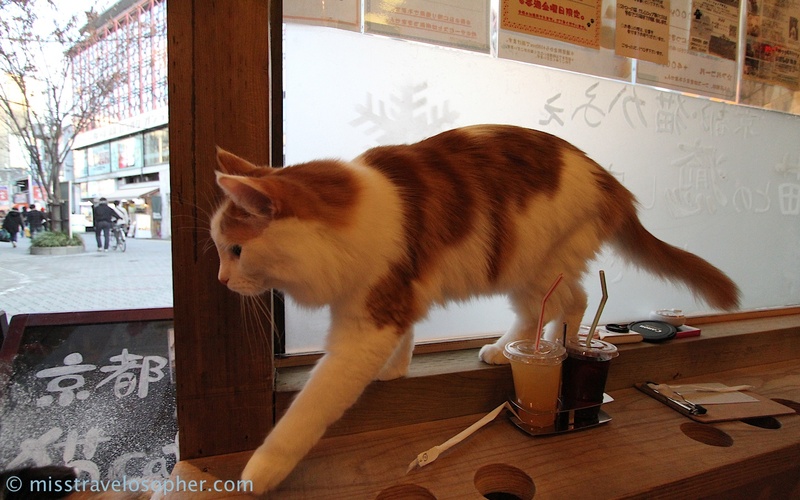 As the word ‘cafe’ implies, other than buying a chance to feed into one’s need for furry companionship, drinks are served as well. In Kyoto, I had the luxury of time to catch a visit to one such cafe which is located conveniently in the shopping district at Shijokawaramachi (四条河原町). To be honest, I’ve actually passed by this shop at least once in my earlier trips, however I thought this was a pet shop. 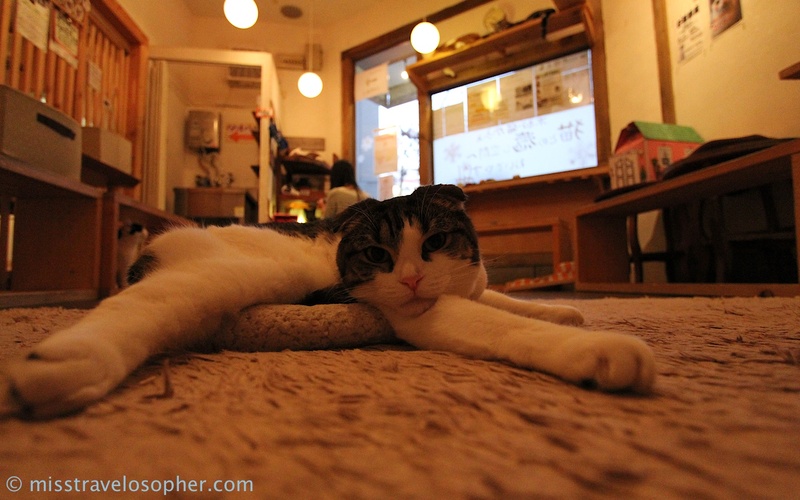 The experience was very interesting and I think I can probably understand why the niche for cat cafe businesses. 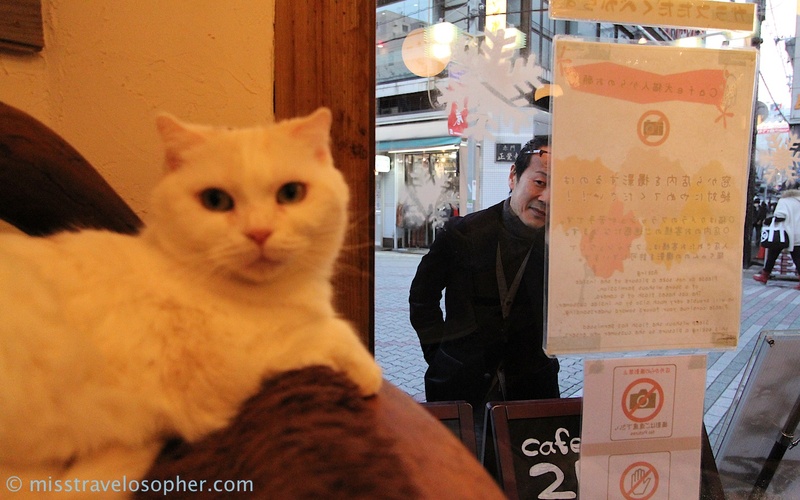 In fact, similar cafes have sprouted out in other parts of the world. 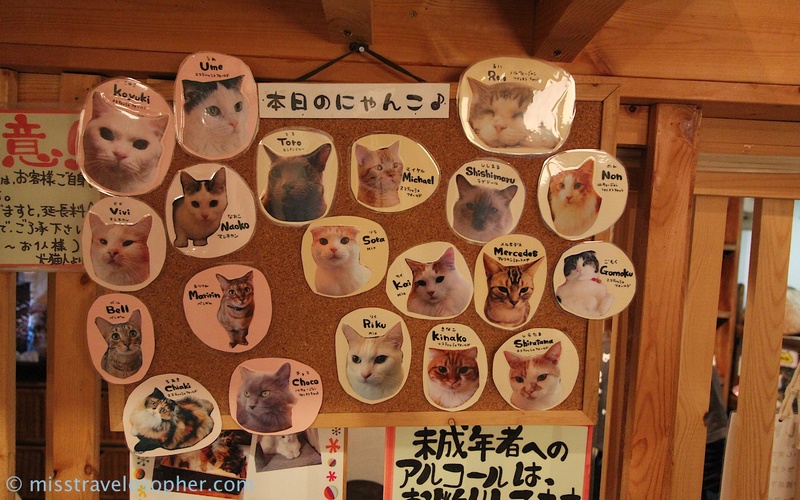 An interesting point to note however, is that the first cat cafe actually opened not in Japan, but in Taiwan. 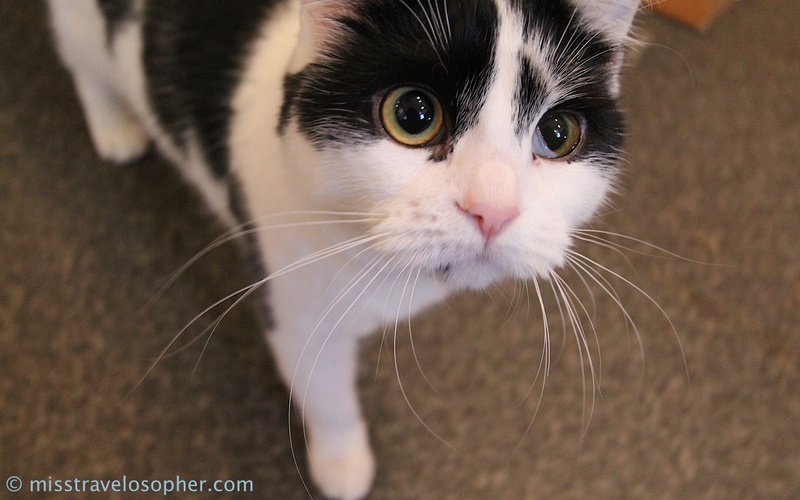 The cats are considered as ‘staffs’ of the cafes where their job scope will include playing and cuddling with the patrons. 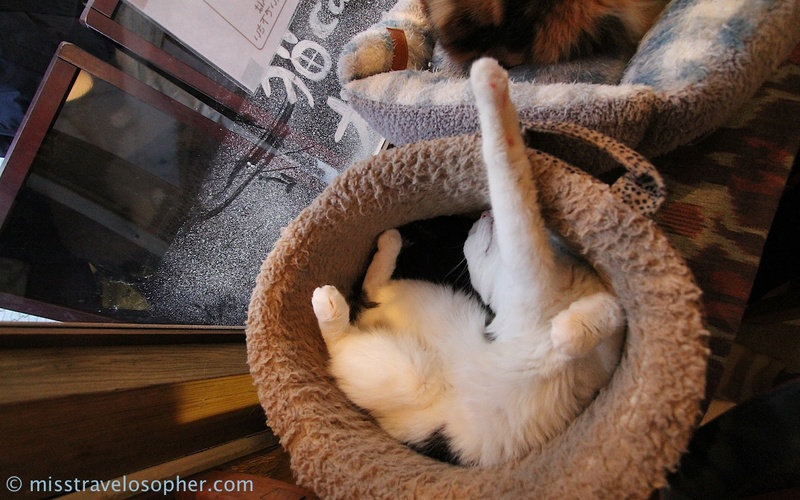 The atmosphere in cat cafes is very relaxed and laid back. Lockers are provided to store the belongings and bedroom slippers are provided. I felt so comfortable that the cafe felt like a giant living room. Yes. 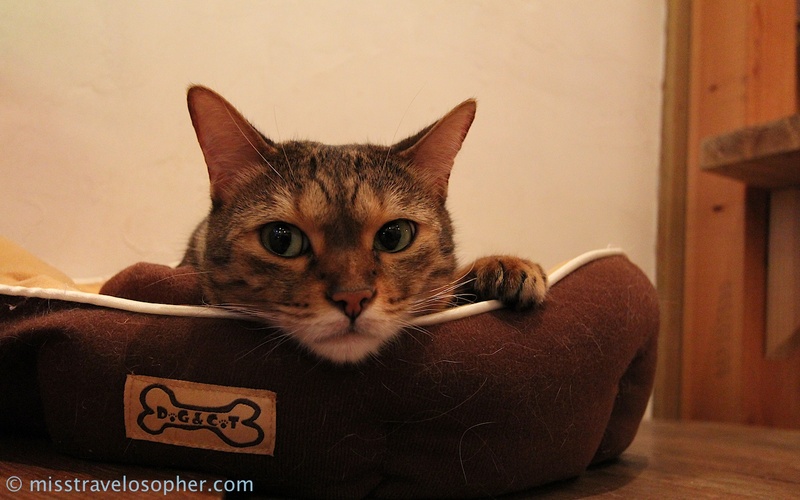 I’m a cat and I like to laze this way. 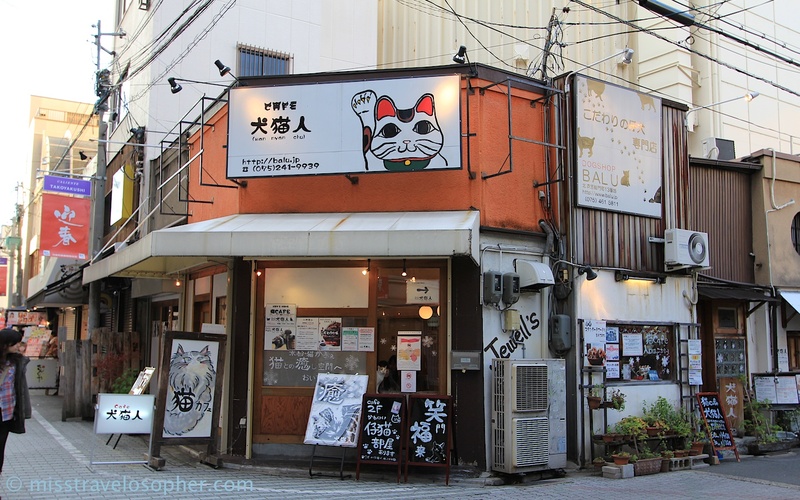 Oh I love this place, I haven’t been inside this neko cagé though the one I tried in Tokyo was very smelly. I want to try a rabbit one but I haven’t found one in Kyoto. 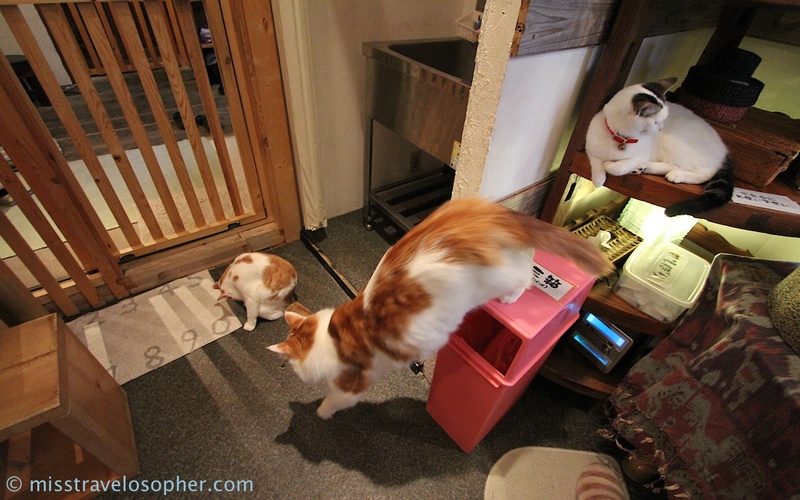 It’s cat cafe. In Japan, it’s famous. I’d like to go to it.